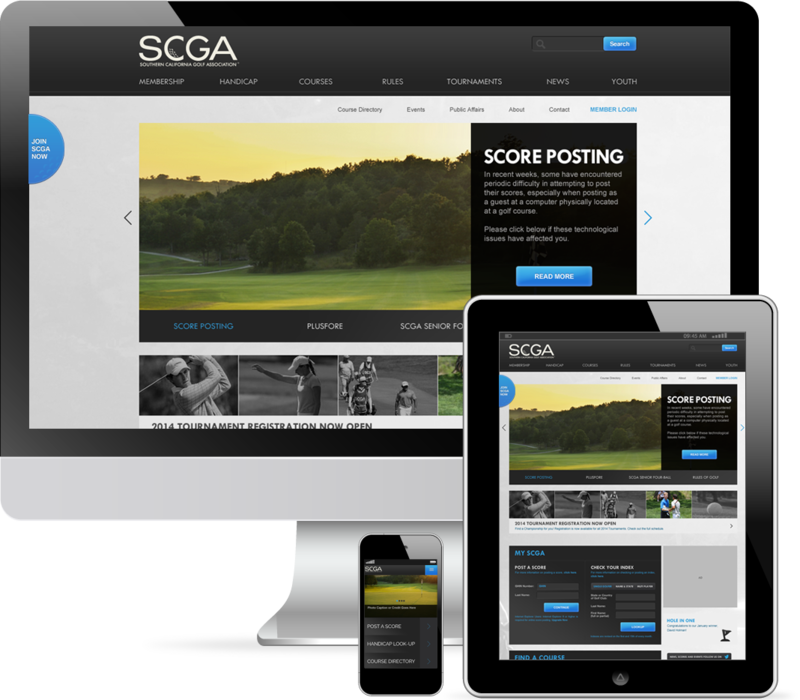 As one of the largest golf associations in America, SCGA came to us looking to refresh their website to appeal to a broader audience. With over 170,000 members, the new site needed to appeal to a younger user group without alienating their current audience. 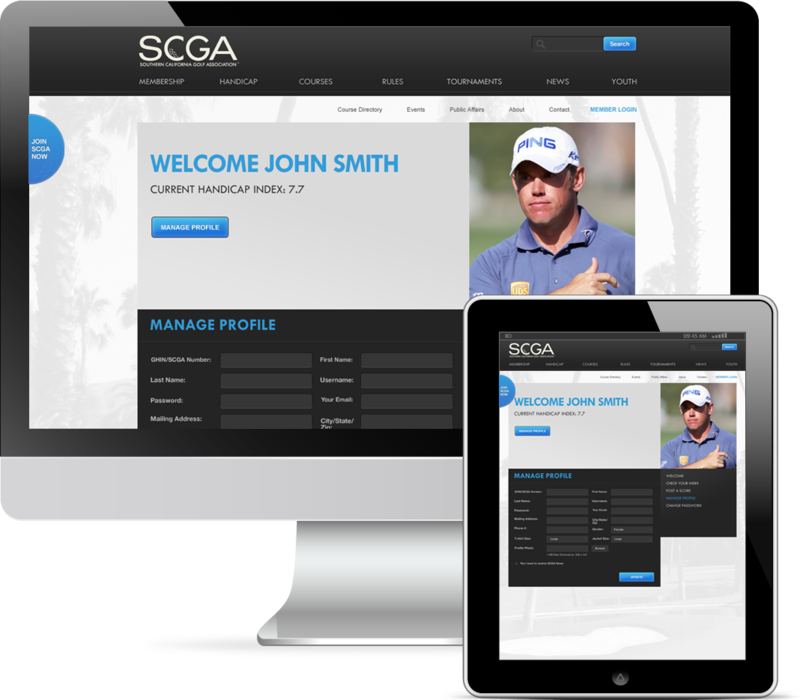 From a technical perspective, the site was developed in PHP but needed to be tightly integrated with SCGA's .net CRM system as well as the GHIN system for storing and calculating golfer handicaps. Limitations of these systems would require some rather creative development. To address the need for a broader audience, Mineral wanted to showcase the great content that was on the old site as well as integrate new content ideas with a fresh, modern layout. One of the main purposes of the site was made far easier by allowing users to start the process of logging their scores or checking handicap indexes directly from the homepage. 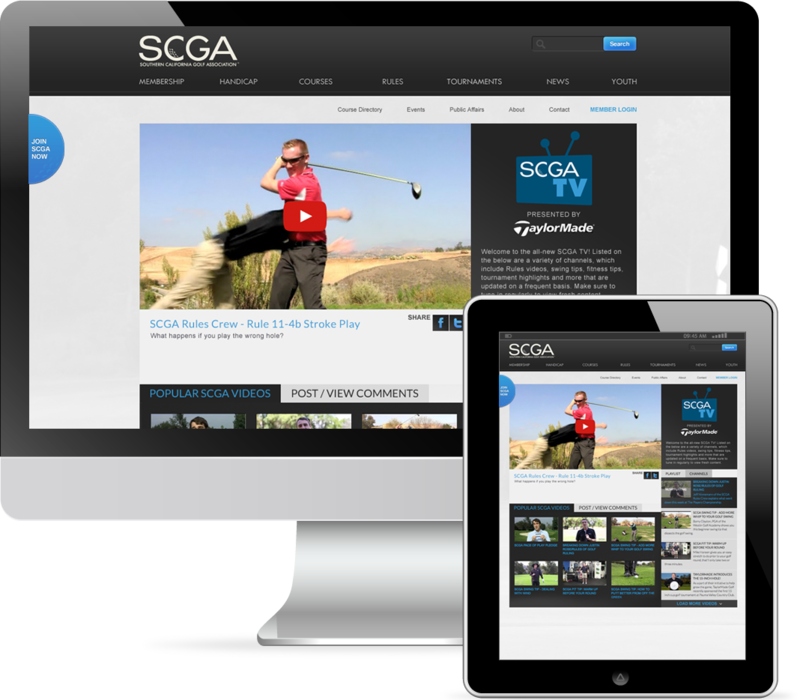 SCGA TV was created to make multimedia content accessible from a single page. Also developed was a robust course directory featuring beautiful imagery, course videos, weather, and additional course information. Year over year, important traffic metrics have increased significantly. 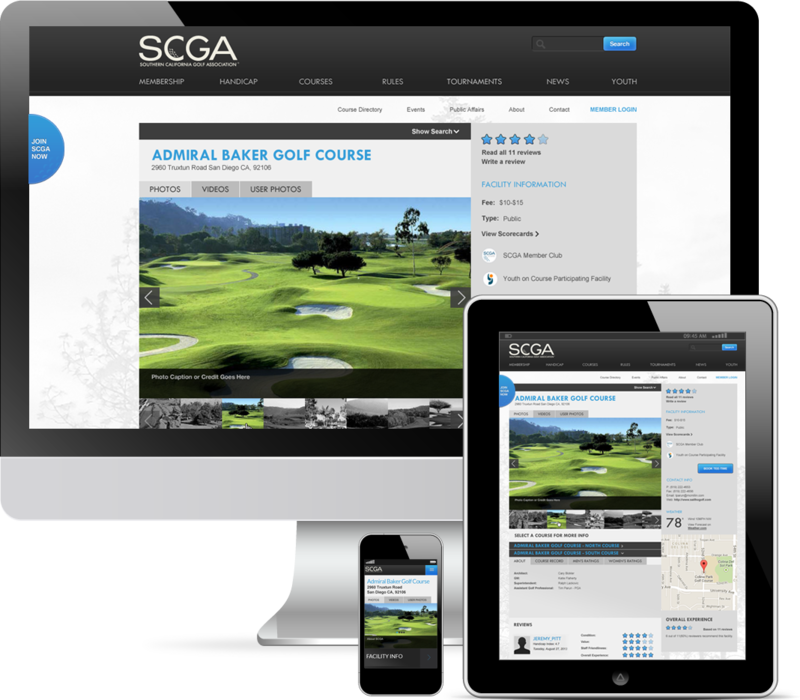 SCGA has seen as much as a 27% increase in monthly traffic, 40% increase in unique visitors, 15% increase in visit durations, and a 48% increase in page-views. SCGA TV has greatly affected SCGA's influence on YouTube, increasing views from 41,000 - 74,000+, doubling minutes watched, increasing subscribers by 56%, and significantly increasing user engagement with the content.